06 Şubat 2019 Çarşamba 18:01 - 9 reads. I agree completely with Karin's Reneland (1 February) in a letter to the editor on the DN View, writing about their and other older people's problems with the modern it-technology. for this task. I read my first computer course at KTH in 1962, has worked as university teachers, wrote papers and taught in the dataintroduktion and machine design computer aided. Still, the development has ran away from me several years ago. Suddenly one stands there and make nothing. It seems as if the modern dataspråket completely devoid of roots in the I grew up with. I have a good son, 48 years, the past few years, saved me from crashes and breakdowns. 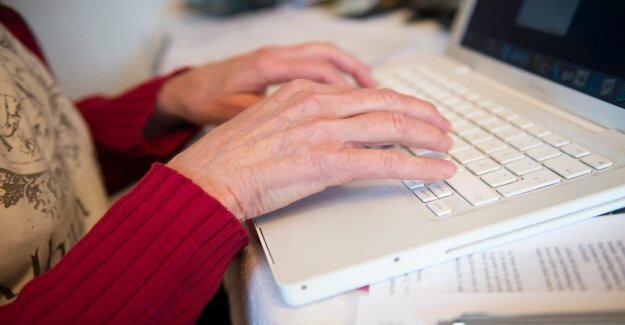 the Authorities should designate the 106-year-old Dagny Carlsson to head the new ”Åldringsverket for computer support for the 65-plusare”.